With many doctors now describing the disorder known as Low T as under-diagnosed and on the rise during the past ten years, an increasing number of men have been asking hormone replacement specialists this question: At what age can you start testosterone therapy? However, the answer is that a man’s age is not the primary biological factor that determines the medically appropriate time to begin using treatment for Low T; the determining factor is how far below the normal range that has been clinically established for the testosterone levels of a particular age group that a man’s available male hormone supply have fallen. In men who are experiencing adult-onset testosterone deficiencies that are accompanied by certain symptoms associated with this disorder, it is highly unusual for a detectable degree of deficiency to have developed before the age of 30. The surge of testosterone production that typically accompanies a male’s adolescence and continues into his early adulthood generally keeps the male hormone levels of most men well within the healthy range. Starting at around the age of 30, however, those levels will generally begin to progressively decline at an average rate of between 1% to 2% for ever subsequent year of adulthood. But with increasing frequency, particularly among men living in highly developed countries, the loss of their testosterone production has been occurring at a higher than average rate. Hormone therapy doctors are not only seeing more men who have developed Low T, but also seeing it occur in men at younger ages. So while this disorder used to be seen primarily in older patients, TRT (testosterone replacement therapy) doctors have diagnosing it in patients who are considerably younger than what they are used to seeing. Yet in regard to answering at what age can you start testosterone therapy, most hormone therapy providers say that it is highly unusual to detect the adult-onset version of male hormone deficiency in patients under the age of 3o; in fact, it is not uncommon for TRT providers to only provide treatment to patients who are past that age. The physiology of very person’s body is unique theirs and so it is your personal biological characteristics that will determine how your body ages. The decline of your various hormone levels is all part of your personal aging process, which is why some men develop symptomatic Low T and not others. It also explains why some men develop a medically treatable level of testosterone deficiency earlier, or later, in life than other men do. Because Low T is associated with this cluster of symptoms, it’s possible for men to experience them at different rates, just as it’s possible to experience some of these symptoms but not others. By the time that men reach the age of 60 or so, the majority of them will have testosterone levels that are approximately 30% lower than they were at their highest point decades earlier. But every man’s male hormone supply follows its own timetable, so deficiency symptoms like those listed above – whether it’s one or several that have appeared – should not be ignored even if a man is still in his 30’s. Getting tested for testosterone deficiency can be a very simple matter, particularly if your doctor is an experienced and highly qualified TRT provider like those found at Nexel Medical. Having the right doctor diagnose, prescribe and manage your treatment can make a world of difference in the results that you’ll receive. It is unfortunate, especially in light of the increasing incidence of testosterone deficiency among men in highly developed countries, that many primary care doctors in the US continue to downplay and dismiss the symptoms of Low T as simply the inevitable signs of aging. Perhaps they are unaware of the statistical associations that this disorder has with increasing an adult’s risk for serious cardiovascular events; muscle wasting; bone fractures; limited mobility; cognitive impairment; and other debilitating medical conditions. If you, like many other men, have ever asked your regular doctor a question like what age can you start testosterone therapy only to be told that you don’t need it, or that you’re too young to worry about that now, or received some other type of dismissive responsive, the conversation does not have to end there. 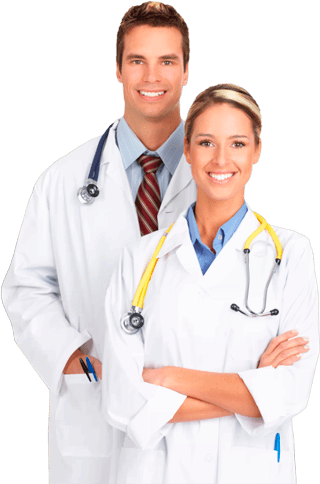 Instead of feeling frustrated in your efforts to get accurate and helpful information about Low T, you can go directly to the source and get that information from a respected TRT provider such as Nexel Medical. We don’t need to be your family doctor in order to provider you with the latest information on testosterone replacement therapy and how to find out if you have a level of deficiency that qualifies you for treatment. If you are just thinking about it and haven’t yet decided if you want to use medical treatment for your Low T symptoms, that is fine with us – we will still be happy to answer any and all of your questions about TRT. If you have already decided that you do want to find out if what you have is testosterone deficiency, we can also help you with that. We can arrange for you to be tested and examined by medical professionals in your area and the results will be relayed to our TRT specialists for review and diagnosis. If you are diagnosed with Low T, one of our Nexel Medical doctors will be able to prescribe the ideal course of therapy for you; and you can even order your prescribed medications through our very convenient online pharmacy and they will be delivered directly to you. Our doctors will know if it is time for you to start using testosterone replacement therapy; but if you have been experiencing Low T symptoms, then you probably already know it, too.